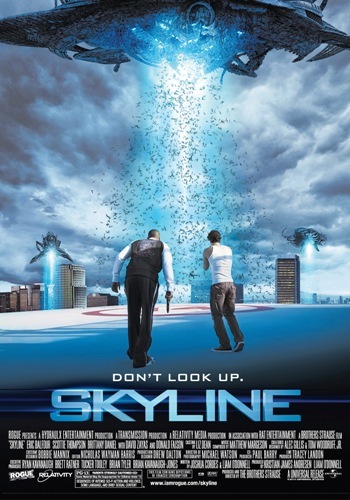 Our friends over at Buzzbo have invited you and guest to join them for an advance screening of SKYLINE on Thursday, November 11 at 11 PM in Salt Lake City. Please e-mail buzzboslc@gmail.com to enter to win a screening pass. Please include your name, age and mailing address. You must be 13 years of age or older to enter and include “SKYLINE – Buzzboslc” in the subject line to qualify. SKYLINE/span> is directed and produced by the Brothers Strause (Alien vs. Predator: Requiem), whose company Hydraulx has provided visual effects for Avatar, Iron Man 2, The Curious Case of Benjamin Button and 300.